Da Capo Press, 9780201168099, 656pp. 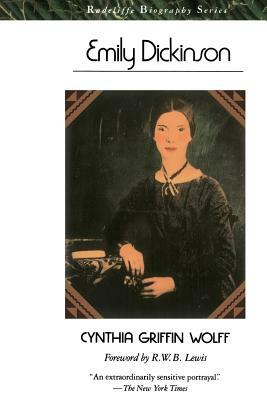 Cynthia Griffin Wolff's brilliant literary biography of Emily Dickinson is the first to unravel the intricate relationship between her life and her poetry. It is a vivid portrait of the poet and her times as well as a fascinating interpretive study of the poems that will enable every reader to approach them with new understanding and delight. Cynthia Griffin Wolff holds the Class of 1922 Professorship of the Humanities at the Massachusetts Institute of Technology. She is the author of A Feast of Words: The Triumph of Edith Wharton and Samuel Richardson and the Eighteenth Century Puritan Character.